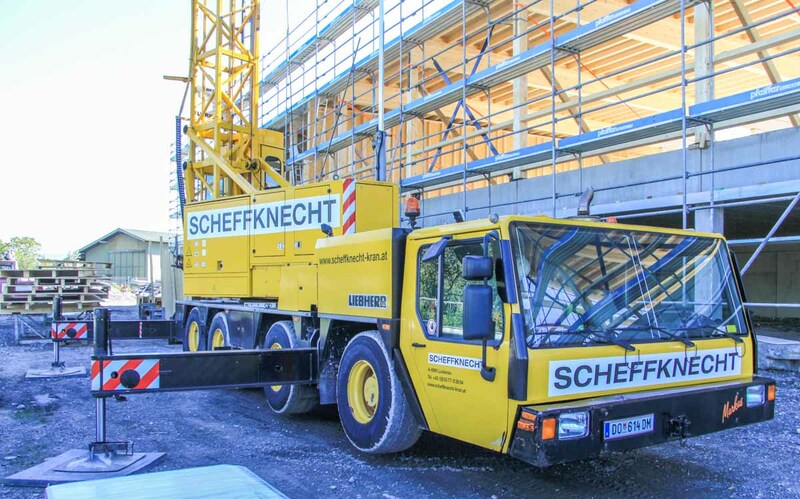 This Liebherr MK 80 of Scheffknecht from Lustenau (AT) stood on a construction site in Hard (AT). 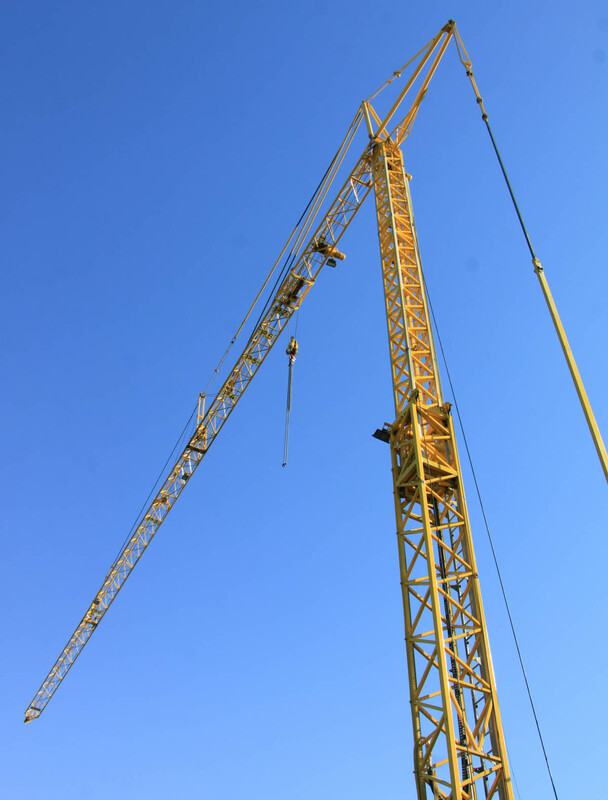 It is a 42 meter tower crane with a load moment of 80 mt. 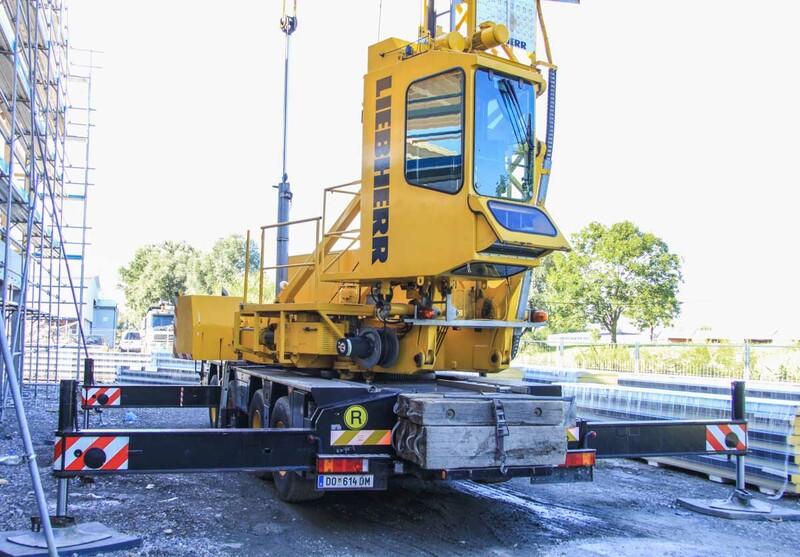 The undercarriage is powered by a Liebherr D 926 TI-E diesel engine with 367 hp. The engine poweres three of the four axles. All axles are steerable. 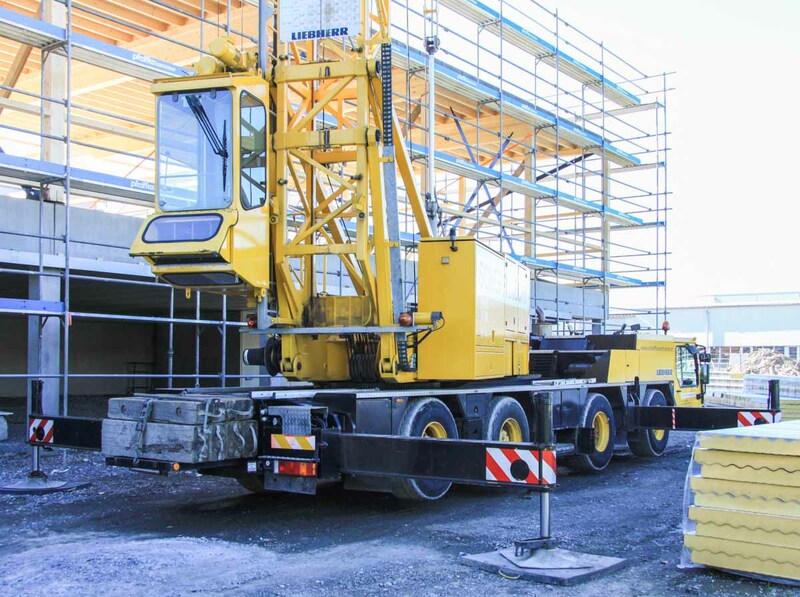 During the transport over the road is the crane 15.9 meters long, 2.75 meters wide and 4 meters high. 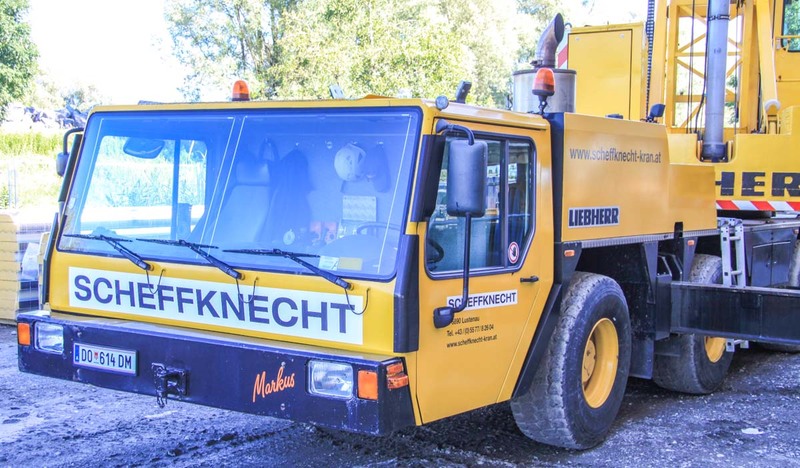 The transport weight is 48 tonnes. The outrigger base measures 7.05 x 7 meters, or half 7.05 x 5.75 meters. The counterweight has a 3.5 meter tailswing. The hydraulic cylinder is used to adjust the jib from horizontal position into the 30 degree luffed postion. The hook height with horizontal jib is 28 meters and 19.6 meters with retrackted tower. The jib has a 42 meter length. 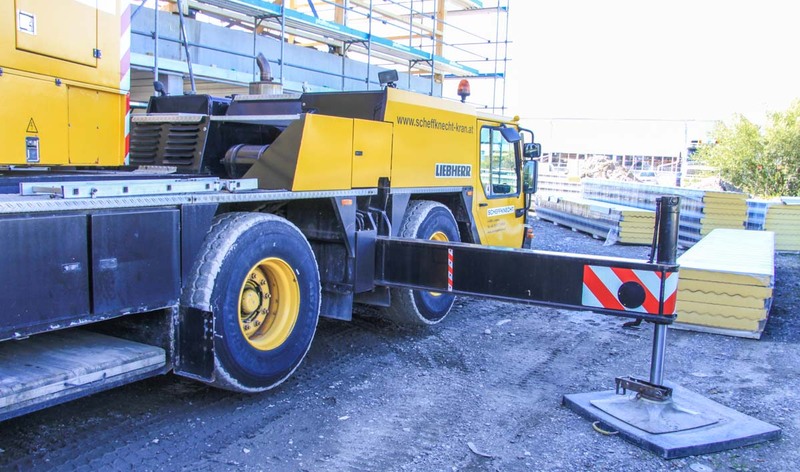 The maximum load of 8 tonnes if lifted on a 10.4 meter radius and at max. radius it is still 1.7 tonnes.